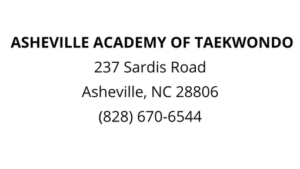 View our programs below and contact Asheville Academy of Taekwondo to start your martial arts training today! We offer classes for all ages and stages of life! Our age-specific martial arts classes run Mondays, Tuesdays, Wednesdays, Thursdays, and Saturdays for children, teens, and adults. Scroll down to see our full program offerings to see which classes best fit your needs. Take advantage of our one-class, free-trial offer today to see if our program is a good fit for you! 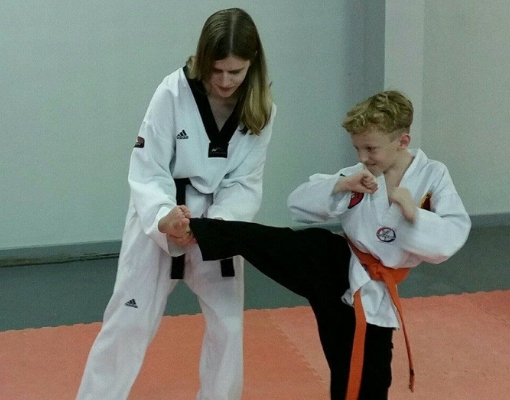 In our childrens programs, we focus on learning basic martial arts techniques in a positive and safe environment while instilling self-confidence and self-discipline. 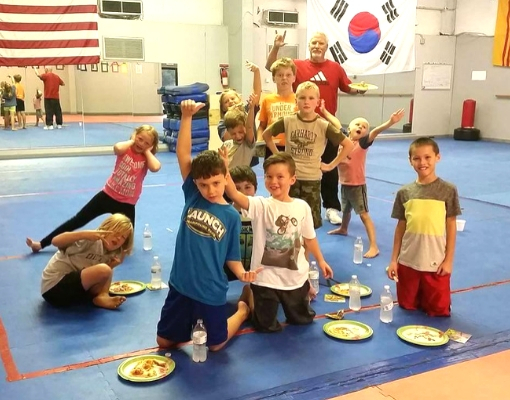 Our childrens classes are offered 3 times per week and are made up of learning traditional martial arts skills and curriculum, sparring (for higher ranks), and games that develop a love for martial arts and physical fitness. Kid’s classes range from ages 6 through 12 and last about 45 minutes. The teen class introduces basic martial art techniques in a fun environment with positive peer influences and is a great way to make new friends! 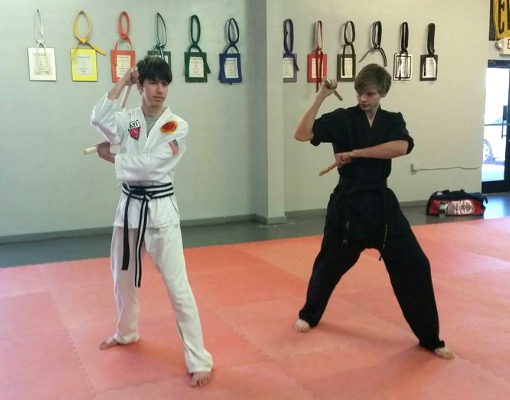 Our teen classes are offered 3 times per week and are made up of taekwondo basics such as forms, sparring, stances, and kicking drills. We also incorporate self defense and knife defense techniques at this level. All of our classes also give students physical fitness training for a healthy heart! Our teen classes last about 45 minutes. The adult classes introduce basic martial art techniques, emphasizing self-defense and physical fitness. 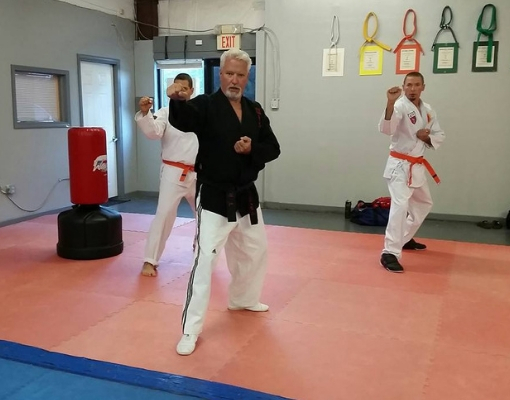 Our adult martial arts classes are a great way to get in shape, build stamina, and increase flexibility. No matter what your current skill level or ability- we can help you become your best you! We offer classes for adults 5 days a week- both in the evenings and midday- so that we can accommodate all types of schedules. Adult classes last about one hour. We also occasionally host “Ninja Night” on Friday nights. This gives parents an opportunity to drop the children off for the evening. At “Ninja Night” we have games, pizza, prizes, and the kids have a blast. Contact us today for more information about our Ninja Night program. Contact Us Today to Start Your Martial Arts Training!